It's been two years since the Master's plan succeeded and a near apocalypse coated the world in darkness. Now able to roam freely, the Master's legion of vampires rule the world-a horrifying police state where humans are harvested for blood. As humanity despairs, Dr. Ephraim Goodweather and an unlikely team of heroes continue their fight against extinction and hope to unlock the secret to the Master's demise. 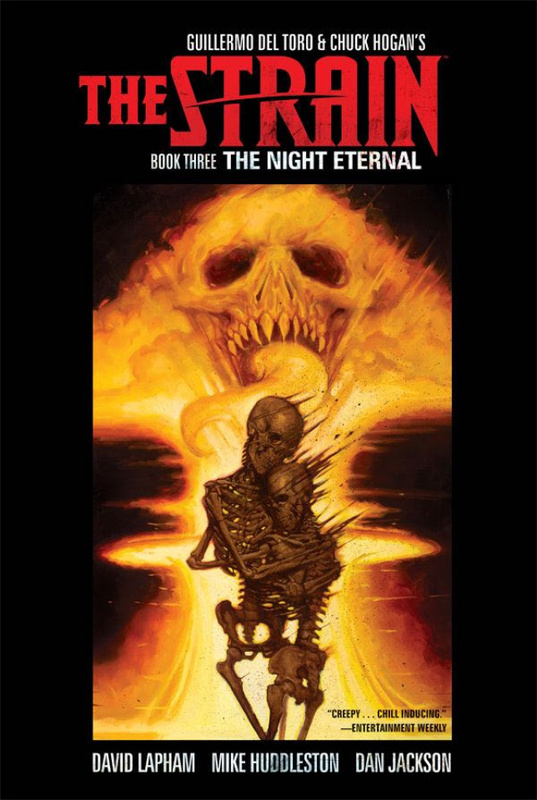 Collects The Strain: The Night Eternal #1-#12 and the short story "A Man of Refined Tastes" from Free Comic Book Day 2015.